This title, as well as others of Brown’s work, is great quick read – mainly because it was slightly below my reading level. The Navy Justice Series would make great books for any middle- to high-school age student. Of course if adults want something to burn through in a few days, I would recommend Don Brown’s novels. 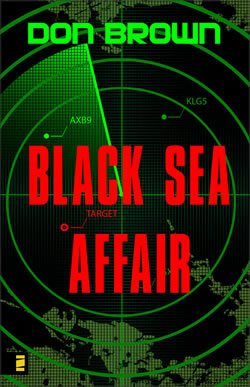 Black Sea Affair tracks political and military action as American and Russian leaders escalate situations to the brink of a modern-day Cold War. First, weapons-grade plutonium disappears from the hands of Russian government. The American administration stumbles upon information that leads them to believe the plutonium has fallen into the hands of terrorists, who are transporting it to a freighter on the Black Sea. The Russian defense minister and president are badly mistaken about the whereabouts of their plutonium. NATO becomes involved, pilots are killed, and a crew of American submariners is sent on a top secret mission. Submarine Commander Pete Miranda is hunting down the freighter they suspect has the plutonium, without knowledge that it also has a dozen orphans and their chaperone on board. Nothing extra spectacular about this book, but it was good to read something from Zondervan. There was also a lot less action from Navy prosecutor Zach Brewer than I expected. It was somewhat of a letdown, but it never took away from the story. I’d say it is quite an accomplishment for a former Navy JAG Officer who has worked in the Pentagon. I’ll be on the lookout for more of Don Brown’s work in the future.